Nearly 400 people were killed when a Bangladesh factory building with garment factories collapsed last week. The latest tragedy in Bangladesh once again raises the issue of the high price of cheap clothing, and puts pressure on the world's largest retailers to take meaningful action. Last week, nearly 400 people were killed in Bangladesh when a nine-story building housing five garment factories collapsed. More than 600 people still remain unaccounted for. The collapse occurred a day after cracks appeared in the structure of the building. Despite the danger, garment workers were told to report to work. The factories had, at some point or another, made items for The Children's Place (PLCE), Dress Barn and British retailer Primark. It had also made goods for Joe Fresh, some of which were destined for J.C. Penney (JCP) stores, since the brand has a partnership with the department store. The brand Benetton said one of the factories had completed and shipped a one-time order for it several weeks ago. One factory in the building, Ether Tex, lists Wal-Mart (WMT)as one of its buyers, though the retailer said it had no authorized production in the building. It is still unclear how many companies had goods made at the factories. But what is clear is that retailers are feeling the heat. On Monday, a trade association representing stores, the Retail Council of Canada, called an urgent meeting to discuss how to address the situation. Joe Fresh and Wal-Mart confirmed that they were participating in the meeting. Primark said it will compensate victims who worked for its supplier, by providing long-term aid for children who lost parents, financial aid for those injured and payments to families of the deceased. A spokesman for the company said it has also partnered with a local NGO to dole out emergency food to families. "We are fully aware of our responsibility. We urge these other retailers to come forward and offer assistance," the spokesman said on Monday. Retailers are especially on the spot because the latest tragedy comes on the heels of two deadly garment factory fires in Bangladesh. In November, 112 people were killed and at least 200 more were injured from fire at the Tazreen Fashions Factory, which made goods for Wal-Mart and Sears (SHLD), though both companies said they weren't aware of it. Two days later, a fire broke out at another factory nearby. Eyewitnesses said that managers had locked the windows and gates to the buildings, which had no fire escapes, effectively trapping the workers in. The huge toll that these conditions is taking on workers has resurfaced a long-standing conflict for companies between selling clothes at cut rate prices and bolstering workers' rights. According to Charles Kernaghan, director of the Institute for Global Labour and Human Rights, which has two officers in Bangladesh, it's hard to tell factories to make a meaningful change for workers while also telling them to keep costs down. Companies are perennially under pressure to push production prices lower in order to boost profits. But cutting costs often goes hand-in-hand with low wages combined with poor and unsafe working conditions. The average worker in the garment industry in Bangladesh makes between 10 and 30 cents an hour, and many of the factories do not have windows, fire escapes or emergency exists, according to labor rights activists. While the incentive for retailers is clear, the Bangladeshi government also has turned a blind eye to the working conditions. That's because it is motivated to entice retailers with low costs. Bangladesh's ready-made garments make up nearly 80% of the country's $24 billion in annual exports. With all the world's attention on the fires and the collapse last week, the companies are once again the focus of the public outcry. 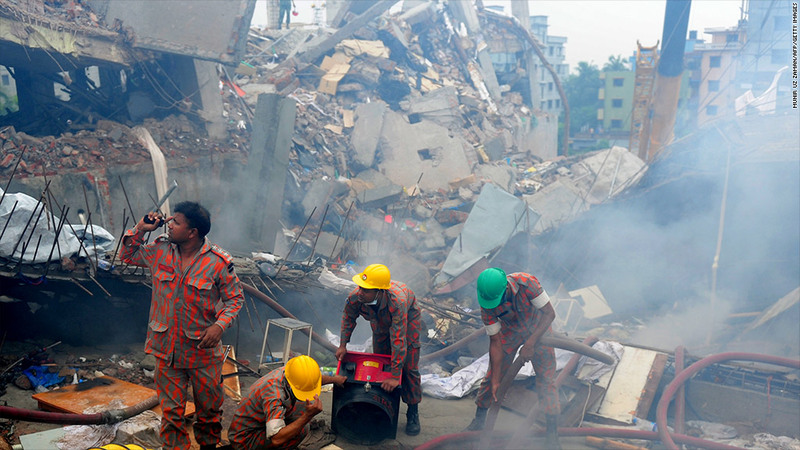 Wal-Mart has been vocal about its safety precautions in Bangladesh since the November fire. Earlier this year, the retailer said it would come down harder on suppliers who violate its global sourcing standards. The company said it would require all factories in Bangladesh to undergo an electrical and building safety assessment from an independent agency. All factories must also pass audits before a supplier is allowed to do business with it. But Wal-Mart's audit reports aren't published online, nor are they shown to factory workers. A Wal-Mart spokesman would not confirm if any of the five factories in the collapsed building had been audited by the company. Joe Fresh also audits its vendors, but these measures don't address building construction or integrity. Experts say that this isn't enough. According Kernaghan of the labor rights group, just monitoring and auditing doesn't work, because factory owners are not truthful with auditors. 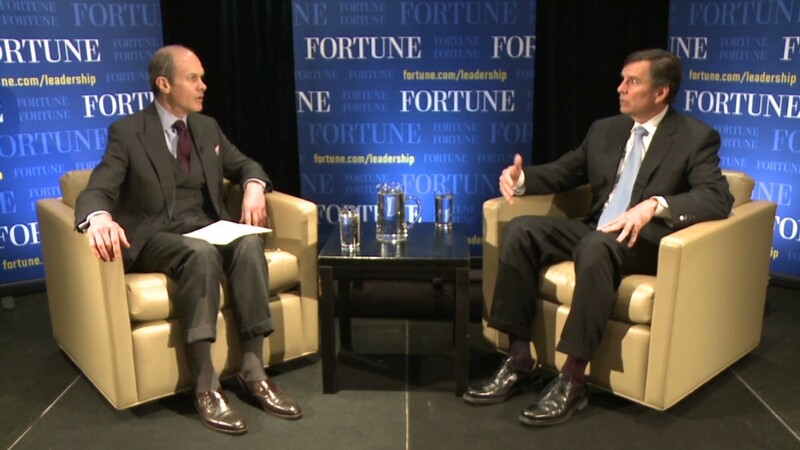 "People cheat, yet for 20 years we've been allowing companies to use this as their only measure," he said. "But after this tragedy, it's going to be impossible for these companies to continue to do the same thing. It has failed."